We had a wonderful time discussing the topic of Diabetes Weight Loss on #DiabetesChat with Jill Weisenberger MS, RDN, CDE, FAND (@nutritionjill). 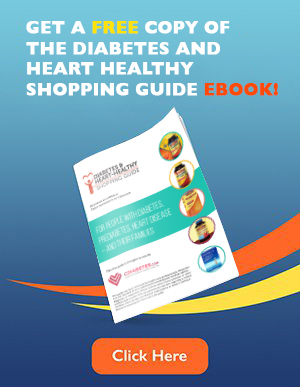 For those who are not familiar with Jill and her books, Jill is the author of 2 books entitled “21 Things You Need To Know About Diabetes And Your Heart” and “The Overworked Person’s Guide to Nutrition“. She works with industry clients including Daisy Brand Cottage Cheese, Boar’s Head Provisions, the Wheat Foods Council and the Alliance for Potato Research and Education. She is an internationally-recognized nutrition and diabetes expert and is frequently quoted in print and broadcast media. Additionally, Jill has been honored by being named Fellow of the Academy of Nutrition and Dietetics (FAND). Click here to view the analytics of this Tiwtter chat event. lotsofchoices #diabeteschat A1 Not sure, sometime when people get the warnings about pre diabetes they are very motivated! nutritionjill definitely! 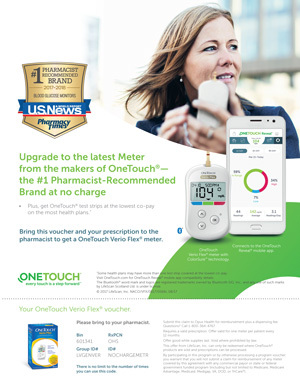 RT @lotsofchoices: #diabeteschat A1 Not sure, sometime when people get the warnings about pre diabetes they are very motivated! 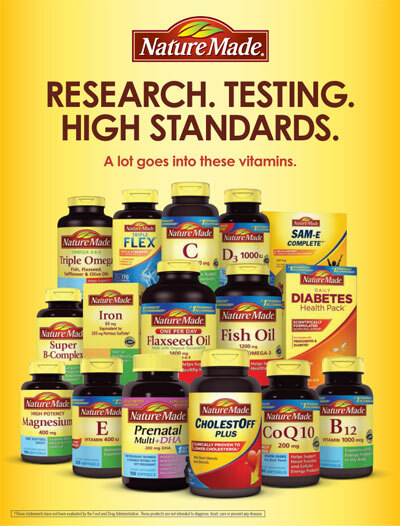 lotsofchoices #diabeteschat A5 Be careful of the marketing. Learn to read the labels thoroughly! laurenpincusrd @nutritionjill Or puree white beans for extra fiber and protein. #diabeteschat A6: Make creamy soups w/out cream by adding pureed veg. coolngroovyjc #DiabetesChat @nutritionjill . unless I eat VERY low carbs my sugar is high 100s mornings since the 20 w8 gain. laurenpincusrd My take on pizza- Cheesy Dried Plum Flatbread: http://t.co/E7Y9SR9w1D #diabeteschat Use a high protein/fiber tortilla or wrap. 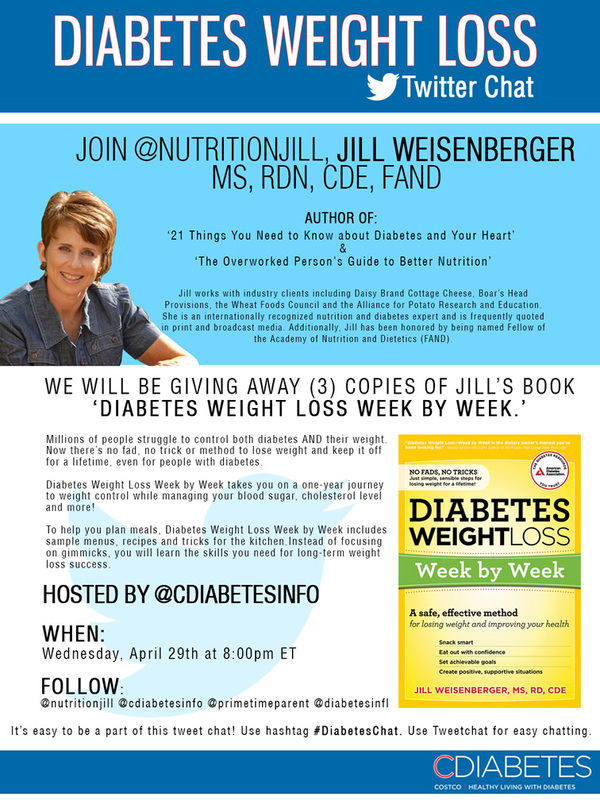 cdiabetesinfo Are you remembering to reply to @cdiabetesinfo, @primetimeparent & @nutritionjill #diabeteschat ? lotsofchoices #diabeteschat Does a liquid meal like a smoothie affect blood glucose more than if you were to eat the food and chew it? tennine8seven6 So the 8pm #DiabetesChat is mostly advertisements and people who don’t have diabetes?? Where is the #doc ? verylightnosuga @tennine8seven6 I see the #diabeteschat hash tag sometimes but not really sure what it is/who runs it? It’s another D chat (based on name)? lotsofchoices #diabeteschat A10 I think food records are helpful especially for people to see their habits. nutritionjill Yep RT @lotsofchoices: #diabeteschat A10 I think food records are helpful especially for people to see their habits. lotsofchoices #diabeteschat Thanks for the chat!